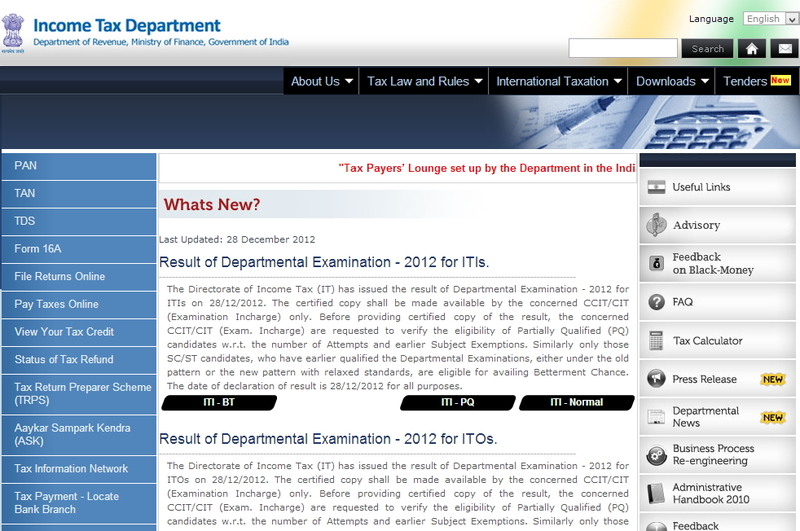 http://incometaxindia.gov.in or http://itsrcmumbai.com is the official website of Income Tax Department of India Recruitment Online 2013. Sports: Sportsmen in Athletics, Badminton, Basketball, Billiards or Snooker, Bridge, Chess, Cricket, Football, Body Building, Kabadi, Rifle Shooting, Swimming, Table Tennis, Tennis, Volley Ball. Eligibility: Applicant have to be played in State or National Team. Those who plays for India in International Level had more Preference. Selected Candidate have to give in writing that they wont apply for change of department for 10 years. Take a Printout of the application form from the website http://incometaxindia.gov.in or http://itsrcmumbai.com and fill it and sign on it and affix recent passport size photo (attested by gazetted officer) and attach necessary gazetted attested copies of certificates (age, qualification, experience, caste, sports certificate).